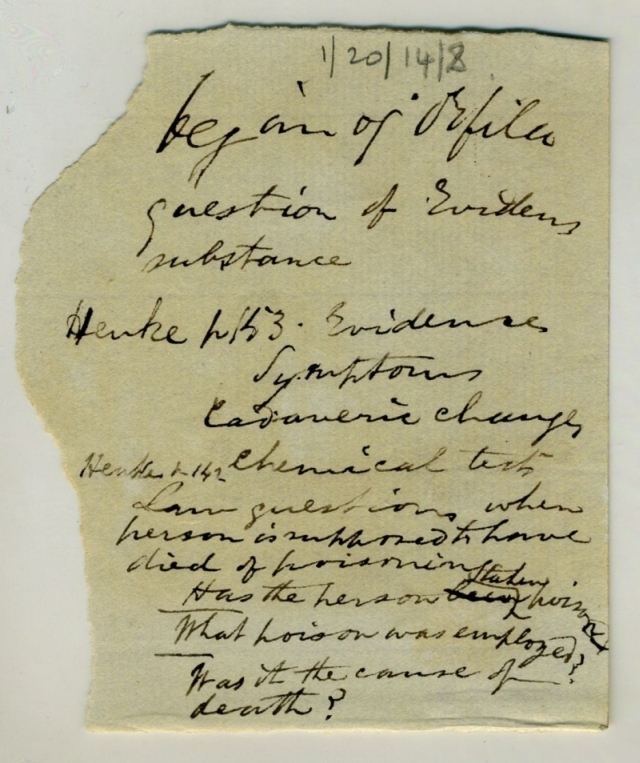 Notes regarding poisoning found in Traité de Toxicologie Générale by J. Anglada, Paris, 1835 (Shelf mark QVR ANG). Possibly William Mackenzie's handwriting? 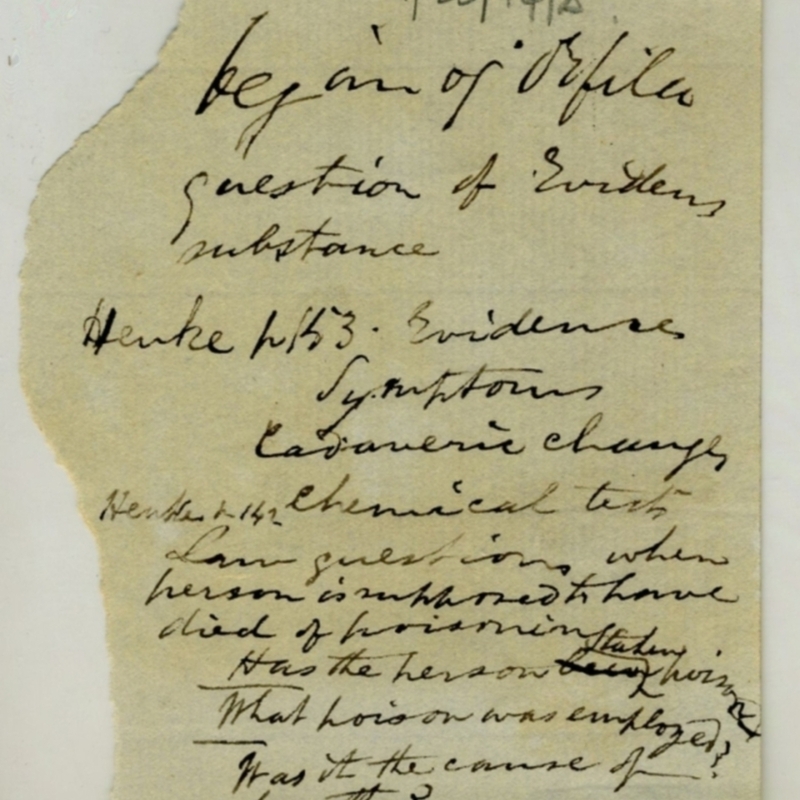 Mackenzie; William (1791-1868); Dr; Ophthalmologist, “Notes regarding poisoning,” Heritage, accessed April 23, 2019, https://heritage.rcpsg.ac.uk/items/show/389. Description: Notes regarding poisoning found in Traité de Toxicologie Générale by J. Anglada, Paris, 1835 (Shelf mark QVR ANG). Possibly William Mackenzie's handwriting?